A new “Dog” from General Cigar Co’s Diesel brand arrived recently at retailers around the country. 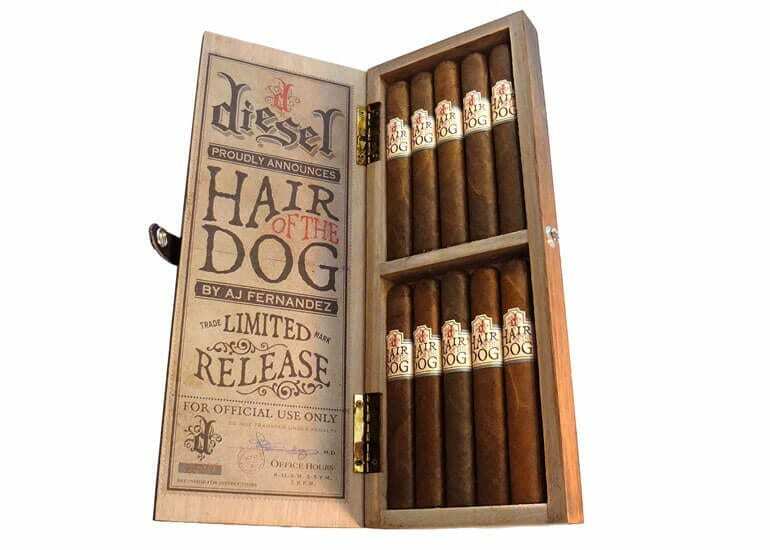 “Hair of the Dog” is developed by AJ Fernandez with Justin Andrews and handcrafted at Tabacalera AJ Fernandez in Esteli, Nicaragua and is a medium-to-full-bodied smoke with earthy flavor, notes of pepper and a heady aroma. This limited edition is a single size line and is offered in a 6 x 54 toro.